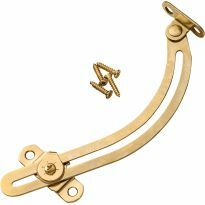 Friction lid support-straight with nylon friction bearing to control lid descent, available for left or right hand operation, brass finished steel, screws included, 6" nominal length. Straight Friction—Reversible lid support uses a durable nylon bearing to create friction for a controlled lid descent. Brass finished steel. Adaptable for left or right hand operation. 6" nominal length. rice for one support. I was looking for an inexpensive way to support my hinged lids for the boxes I build. People don't want to pay what you think your work deserves. I was using chain & odd ball screws for my lids not to fall backwards. Came across the friction lid supports from Rockler at a price I could afford & one which I think my customers could also afford. Unfortunate for me I suffered a retina detachment & things have been kinda put on hold, so I really have not had a chance to use the lid supports. Many woodworkers use this type of support already, so I'm sure they will do me just fine. I give a 5 star, cause thats how good I think they are. I needed something for a awkward setup and the adjustability on these fit my needs beautifully. Quality product and fast shipping = happy customer ! Item arrived on time and filled my need. These worked out very well. With the help of a friend, the kiosks being built were laid on their back and propped up to provide the lid opening limit needed and then the supports attached. They provide a wide range of usable opening that accommodated the need for the lid to open past center so it could not slam closed. Used on two seperate chest with a large hinged lid...worked great! I had no trouble using these and it worked fine. Make sure the directions are included, making installation make faster. I would have liked to have had instructions about spacing for the brackets on each end to the pivot point. It took me several hours of drawing diagrams and measuring to come up with some dimensions. Then I had to adjust them when I worked up a sample. Lots of time wasted, about a whole day. Finally I got it done and it works fine. With the instructions, I would have given it a rating of 5 stars. Used two of these on a blanket chest and they worked fine for the intended purpose. Would not recommend using on a toy box or for that matter on any chest accessible to children. They're just not sturdy enough for that kind of application. Packaging did not include any dimensional information or installation guidance but information was available on line. These are OK but fair warning - The friction is a bit hard to adjust and it will not stay set long term. If you really value the friction and can't accept the occasional tightening of the screw then find something else or use something with it like a friction hinge. I use these in situations where I want to limit travel and can handle losing the friction from time to time.. They worked fine for what I bought them for but instructions would have saved me some time and some extra screw holes. Seems obvious now but if you don't attach both ends the same distance from the hinge pivot point to each end of the supports pivot point it won't close all the way. If this had been some nice hand made chest I had spent days building the extra holes would not make me very happy. A simple drawing and simple instructions could have prevented this. Unsuitable for small projects like jewelry boxes , inconsistent tension thru travel, very cheaply made, would not order again. with a sloping lid I wanted it for. I ended up not using it! 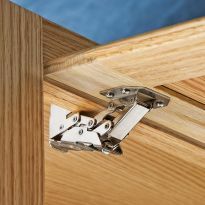 These hinge's mount easy enough, however, they will not stay tight. When I set the friction screw the lid will stay open but when I close the lid and reopen it the hinge will not hold the lid open. Very disappointed in these hinge's. Good quality. Instructions,suggestions,for mounting would be nice. Looks like a good choice to control door movement. I thought it might suit my project but it didn't. Saving for other project. Not quite what I needed at this time. I build boxes for all occasions, needed a reasonably price support hinge, this was the best I could find. Bought them before and they are good. to replace an old one on a vintage vanity for the lid. To complete a toybox for my grandchildren. For a friend of mine, that I made a large toy box for her granddaughter for her birthday next month. Replacing broken original hinge >50 years old. It was a replacement for a broken part. I have been using them on toy box lids. what weight will this stay support? hi there is this lid support adjustable? I am looking for something similar for a wall mounted drawing table. BEST ANSWER: This product is adjustable, but is intended to control the descent of a lid, rather than support a writing or drawing surface. 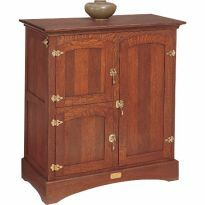 A similar item, which would be better suited to your planned use, is Rockler item number 32110 or 32128. 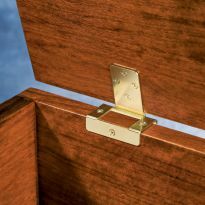 This solid brass hardware would also be more durable. Yes, to a certain extent. This is my first time using one, and would buy another if the need arose. I suggest clamping the lid open at 90 degrees and positioning the lid part first, then locate the mounting for the box. I'll be happy to answer other questions. 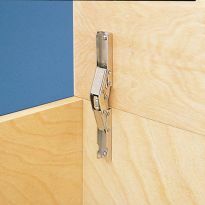 The lid support is adjustable on the side where there is a phillips head screw that controls the tension on the slide. You can tighten that to the point that the lid will be totally locked, very easy to move up and down, or anywhere in between. If you want something that is adjustable I would recommend the adjustable lid support. I have a dresser door (not a lid) that needs held open and I need to know if this would work for that? BEST ANSWER: I suppose it would work ok for that purpose. You have control over the amount of friction the support has by tightening the knob. Held open as to lock it open? NO this does not have a latch to lock it open. Now this has a set screw adjustment that will hold it open then you close by the tension. Any other questions let me know. Will I be able to open a chest lid just past vertical when installed per instructions? 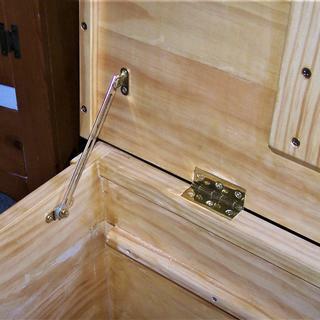 BEST ANSWER: Yes, I could open my box using this hinge, just past 90 degrees. I created a painting box from cigar boxes. For my needs, when using the box on my lap, I still had to hike the front of the box up a bit to get it to a steeper angle for painting. I am tall. If some say 5'5" or under, the hinge would have been absolutely perfect. My parts arrived and I am preparing installation. It seems to me that the pivot on the lid bracket should rotate easily. It does not. Do I need to work it a bit or lubricate it or does it remain fixed in a single position during use? BEST ANSWER: The pivot point on the lid will loosen with use. Can you use this to limit how far a cabinet door opens? what is the required depth for this device? BEST ANSWER: The exact depth required is dependent on where the side guide is mounted. 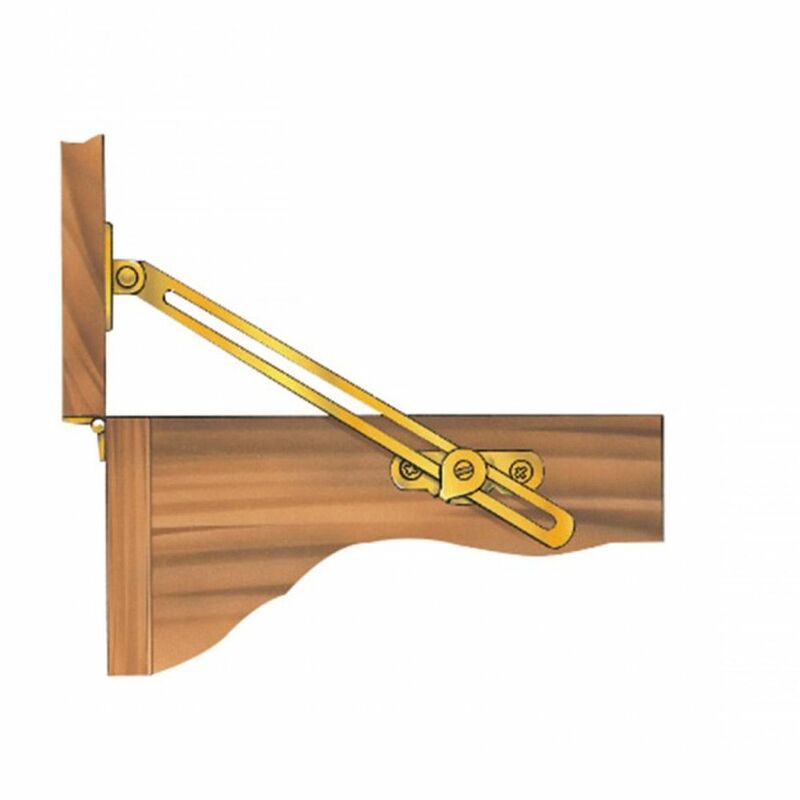 The arm requires approximately 2 inches travel space below where the side guide is mounted. Hope this helps.